Rome (AsiaNews) – Chinese authorities tore down two shrines dedicated to Our Lady. 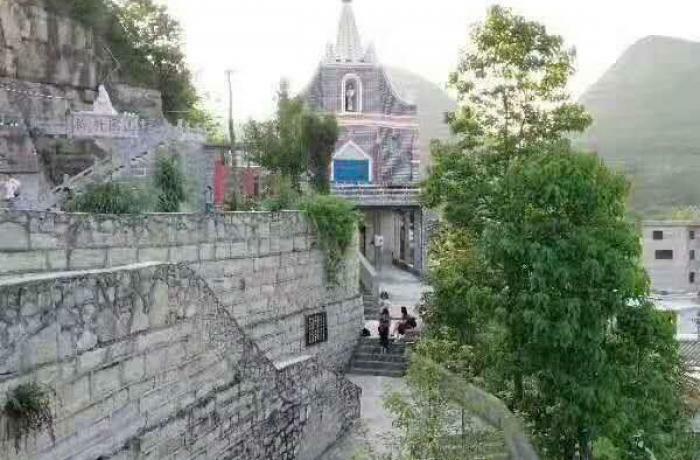 One is Our Lady of the Seven Sorrows in Dongergou (Shanxi), and the other is Our Lady of Bliss (pictured), also known as Our Lady of the Mountain, in Anlong (Guizhou). 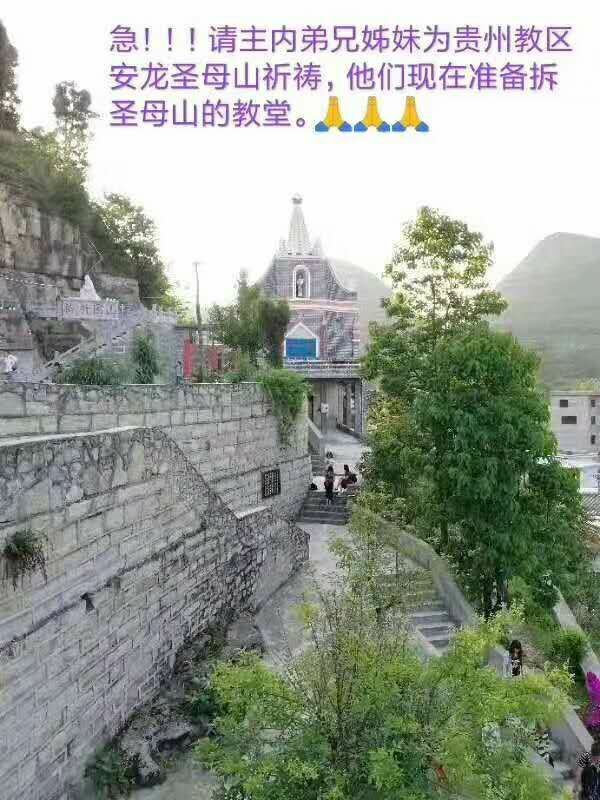 The two pilgrimage sites, used by both official and underground communities, were demolished just a few weeks after China and Vatican signed an agreement on episcopal appointments. Reports and videos showing the destruction became public today. The shrine of the Seven Sorrows was apparently destroyed today. Some Catholic believers told AsiaNews that the shrine in Dongergou was torn down in the name of "sinicisation". For the authorities, there were "too many crosses" and "too many holy paintings" and so they had to go. The shrine of Our Lady of the Mountain in Anlong was destroyed because the authorities said it lacked the necessary building permits. One video shows a crane lifting statues in the first shrine; in the other, jackhammers can be heard demolishing the building’s facade. A week ago, the faithful in Anlong had asked Catholics around the world to pray for their shrine to save it from destruction. The sinicisation campaign began last February, with new regulations on religious activities. The destruction of churches, crosses, paintings, etc. began in Henan, Xinjiang and Inner Mongolia and spread to Zhejiang, Jiangxi and other provinces. Since the Sino-Vatican agreement was signed, the pace of destruction has increased. According to various observers, the Chinese Patriotic Catholic Association and the United Front – which are in charge of religious activities – have launched a campaign to wreck the agreement.